JACOBS DREAM THE VIOLENT TRUTH LYRICS"
People dying ain't that nice? Look and tell me what do you see? Welcome to hell in the U.S.A. Crack and heroin are God! The party's over, say goodbye! 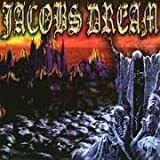 All Jacobs Dream - The Violent Truth lyrics are property and © copyright of their respective owners. All The Violent Truth lyrics provided for educational purposes only.